What happens before, during, and after a healing session? Here follows a description on what happens before a healing session with me (both distant and hands-on sessions), and what you might experience during the session, and what to expect after a session. Before a healing session we discuss your needs and desires in regards to the healing session. After our conversation I’d like you to be in a room (if you’re receiving distant healing) where you can be undisturbed, and it’s great if you can lay on a bed on your back with your legs and arms uncrossed. It’s important that you’re in a relaxed atmosphere and that your phone is off etc. Your ”job” is to just lay comfortably and relax with your eyes closed and receive the healing that I’m channeling to you. You don’t have to do anything but to relax and allow the healing do what it needs to do in your body and being. If this is your first time to receive healing, please don’t feel anxious about it, it’s usually a very pleasant experience and fear will only cause resistance, so just relax into the healing energies. I work intuitively so I feel intuitively when the session is over. After the session I always have a chat (in person or via email) with the client to hear about their experiences and if there’s anything that happened they want to share, and if there’s any intuitive messages that I have to share with them. Sometimes the client has fallen asleep and won’t get back to me right away (after a distant healing session), and that is perfectly alright and normal. As I mentioned earlier; you fall asleep, but it’s not normal sleep, but a very, very relaxed state where you can experience not even feeling your body. It feels like floating, and it’s a wonderful feeling. You might experience emotional outbursts such as crying, sometimes even without knowing why. There can also be laughter, or some other emotions that comes up. This is all energy releasing itself and we don’t always have to know why, it’s just old stagnant energy that is being released so it’s all good. You might experience your body twitching, buzzing/vibrating and moving and you might actually feel energy moving in your body. A client has also reported seeing her body/skin glow in a golden light during the session. There might be sudden exhalations of breathe, like a short puff coming out of your mouth that you didn’t do consciously. You might experience different kinds of body sounds, like gurgling and rumbling in your stomach etc. You might feel several healing hands on your body while I’m the only one physically in the room, or if I’m on the other side of the planet here in Spain you might still be able to feel my presence/hands. Sometimes people feel a loving presence with them there in the room, and to me it’s the presence of Love, but many also interpret the presence as being an angel or their spiritual guide etc (whatever you want to call it). Some people experience visions and a lot of colors and an expanded awareness, a heightened sense of awareness, almost like a vivid dream if you will. Healing can be very powerful and remove issues/difficulties (like fear and emotional pain) instantly without the need of ‘working things through’; it just leaves you to never come back. Those were a few of the experiences that are common, but of course sometimes there are no experiences at all as everyone has a unique experience and not all experiences are felt in each session (each session is different). One time there might be a release of emotions and then the next there’s just very deep relaxation where you snore and drool your way though the whole experience. However you experience it, there’s always a healing taking place, but it might happen on a deep, unconscious level so that you don’t necessarily have an experience of in the sense that you physically feel something happening in your body, emotions and mind. You might wake up and feel slightly disoriented and dizzy and so you’ll probably need a little time to recoup and stabilize yourself (usually it only lasts for about 15 minutes of so). You might be cold and shiver a bit directly after a session, so if you can, take a warm shower. The healing energies will continue working on you intensely for the next 2-3 days or so so be extra kind to yourself during this time. In the following few days after the healing session it’s important to drink a lot of water, and to be careful with alcohol because you become more sensitive to substances and also medications. If you have diabetes for example, please check your blood sugar levels regularly as there can be (positive) changes. There can also be other very positive experiences after a session where you don’t go through any cleansing period at all. A lightness of heart and your whole being feeling released from heaviness, leaving you feel invigorated, fresh, and with a new sense of freedom where you’re almost overwhelmed with loving feelings towards life and everyone around you. A newness of life enters your being. You might even look younger! And I mean that literally; sometimes I see clients eyes and face light up and have a new glow after a healing session. When we are released from the past our whole body gets energized and it comes alive again, so that happens too; eyes lit up, there’s a joy welling up within you and a sense of gratitude and appreciation for life itself. It deepens your connection with yourself and your relationship with others. It can help you increase mental, emotional and spiritual clarity and well-being. It can help you experience a deeper sense of connectedness and inner peace. It can help clear your subconscious mind from false beliefs/fear. It can give you confidence and clarity regarding who you really are. It enhances a more passionate way of living your life. It creates deep relaxation and aids the body to release stress and tension. It helps cleaning and cleansing the body from toxins. It helps spiritual growth and emotional clearing. It helps us to come into alignment with our natural state of being. 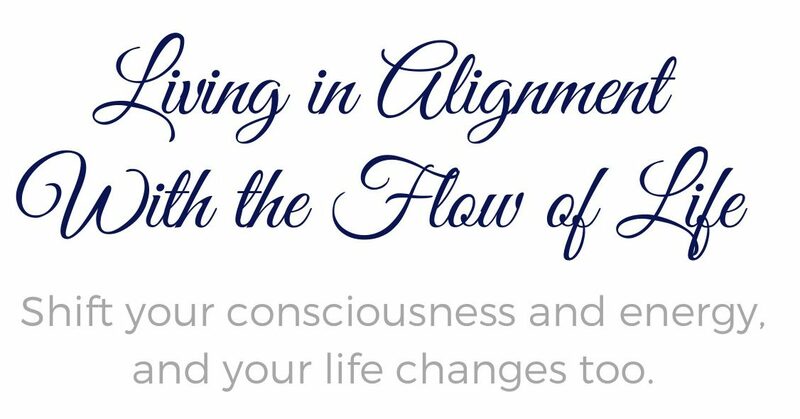 Healing helps you get aligned with your flow. 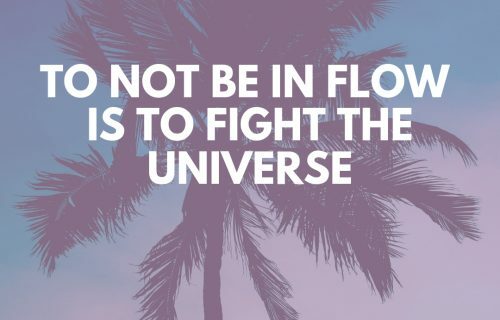 Flow enables you to enjoy a fuller, easier and more productive life, and when you’re in flow with yourself, you live in harmony with the universe. Healing sessions can also be helpful if you’re going through a difficult time in your spiritual awakening process as it can help calm down the new energies so that you can go through the transformational processes with more ease and groundedness. I’m a Reiki Master but have developed my own form of healing throughout the 15+ years I’ve been a healer, so I don’t call myself specifically a Reiki healer anymore although my approach is similar. From all the many modalities and forms of healing, body work and therapies etc that I’ve learned in the past, my own unique way of utilizing the universal power of healing energy has naturally developed. All my work (healing as well as guidance and coaching) is intuitively guided and highly transformational. I am dedicated, committed and serious about my spiritual journey and I can’t put into words how much you have helped me. I’ve been brave through some extremely turbulent times since my healing session with you. I say this with much love and a grateful heart, I couldn’t have kept it all together had I not experienced a PROFOUND shift during and after my session with you. A week after our session, something happened within me, that I cannot explain nor would it even make sense to anyone. However, I will say that I shocked myself (through an acute awareness) coming from somewhere within me, that I’ve never experienced before until after our session. Recently, I had to make a very difficult and painful decision that is going to change my life as I have known it all these years. I didn’t flinch in making this life changing choice, even as fear danced around me like hungry vultures. The courage I needed was there and then some. I could actually FEEL my deep desire to be fearless surface and that over shadowed my puny worldly fears. Very, very odd feeling (fear and courage simultaneously). There was a part of me that felt my being, being taken over by a real peacefulness that I’ve never encountered before. Sounds odd but it’s the truth. I’m still a little nervous and afraid, but I don’t know why because I really don’t care whether or not I’m afraid. Omg, that sounds strange too. Anyway, I’m just an odd ball these days, but that’s okay. The point is, I feel my-self, outgrowing it-self, at a faster speed since my session with you and I couldn’t be happier. Even during times of intense and sometimes almost unbearable waves of fear, I still can feel life becoming more clear and authentic and that’s all I have ever wanted. And thank you for sharing your experiences after the healing session you had with me. Healing can be very helpful in any kind of transitional process one goes through. It clears out the old and helps restore you to the authentic and true you, and that means on all levels; physical health, spiritual life, personal life and so on, and with these inner changes there’s shifts happening on the outside as well. Intuition increases and you’ll be more prone to be true to yourself, you feel energized, empowered, and safe and secure in yourself and your decisions, and so on. With this your outside world changes too of course; things begin to move around and shift as your awareness increase and you become more clear about yourself and who you are. These changes are not always easy, but they are necessary and always leads to something better than what has been before. For example; things like seeing more clearly that a relationship is unhealthy for example is great, but the breakup might be a challenging process to go through as with any transition in life where you move from one stage in life to the next, but it will be done in a much healthier way the more aware and conscious you become. When you know what’s happening the journey and process gets easier. You’re now moving into a new phase of your life and you might still be in the unknown territory about it, but soon the new will emerge and become clear to you and you can rest assured that it’s going to be greater and better than what has been before. Life always moves towards a greater expression of Itself – and when you go with it by staying true to yourself and when you do what is yours to do in regards to inner work, your worldview shifts and so does your world as you now know it too. The peace you mentioned is what travels with you on this journey forward, and even though there might be remnants of fear left, it will not be long before it leaves you to never come back again. As I mentioned before, a process of transformation or healing can happen quicker as you surrender to the process and allow the healing to take place and it sounds like that’s what you’re doing too, so that’s really great. I can still remember many years ago when I was in rehab and how afraid I was to feel certain emotions, so I wasn’t able to surrender to the healing sessions right away. There was resistance because of fear, but then after a few times I decided that I would surrender and feel whatever I needed to feel, and that very moment was my breakthrough. I still get goosebumps thinking back to that moment when I let go and I let the healing happen as it wanted to happen, and in that instant I was set free. I remember thinking “wow, there was nothing to fear!”. I was afraid of fear itself, but then when I welcomed whatever I had to experience in the healing process, it vanished, and it vanished instantly. It was such a relief! This is what many others experience too with healing sessions; the sweet and very welcomed relief from maybe years of emotional suffering. Of course there were a lot of inner work and healing after that too that I needed to go through, but that was my breakthrough when it came to receiving healing. After that I allowed anything to come up in my healing sessions, I was totally open and willing to experience whatever I had to in order to become free and healed. And then after I had surrendered to it, it was just upwards and forwards for me even though it was a process of course to become drug-free and so on. I knew I had to surrender to the whole process (the rehab program with everything it included) and that was what propelled the healing and recovery to take off. This is true of any processes one might go through; there has to be an openness and willingness to the process, however it might look. 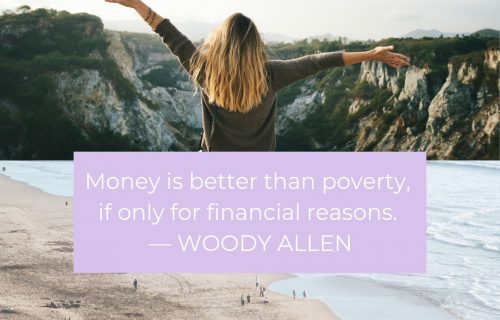 And it doesn’t have to be difficult! It transcends time and space so you loose the sense of time altogether, and even though someone just want healing for relaxation purposes there’s always energetic shifts happening (healing) on some level or another. So any fears that still moves through you are simply old energies that are being released and those can usually be cleared out with another healing session or more, depending on how deep an individuals ‘issues’ are. “This is old energy leaving me to never come back, nothing more than that, so I let it. I am willing to be in this process and I say Yes to it and Thank You for the healing that is taking place. I say Yes and Thank You”. After you have said that a few times and you have established the meaning of the words you are speaking to yourself you can reduce the sentence to simply a mantra that says “Yes. Thank You.”, and you will know that that means you welcome ‘what is’, and that you are thankful for being cleared and cleansed from the past and old energies that no longer serves you.